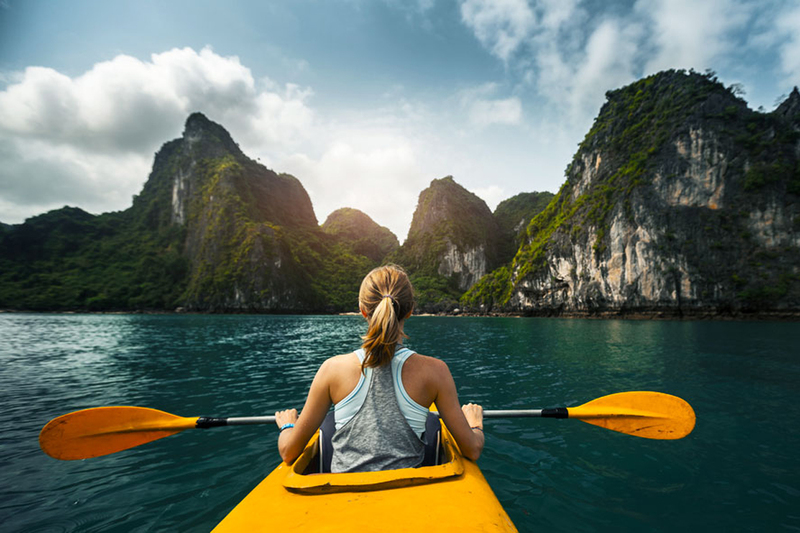 It seems like the most famous and attractive activity in HaLong Bay is kayaking in the middle of the clear blue water of thousands of islands. The following places are listed in the National Geographic Selection as one of 25 the most perfect kayak places in the world. British historical magazine Wanderlust also rated Vietnam as a destination for kayakers. Sitting on the small boat, you can glide softly on the jade blue water or through the mystery of the cave mound stone in HaLong. Kayaking, visitors can freely visit the Vung Vieng fishing village, Dam Dam … explore the beautiful bay and the life of the people here. To feel the majestic beauty of Ha Long Bay and discover the beautiful cliffs, rocky cliffs, you should consider and equip yourself carefully so that you do not miss the opportunity. Sleeping on a cruise boat in Halong is one of the best experiences that if you have the opportunity to travel here, you should try at least once in your life. The moment to welcome the sunrise or watch the sunset fall in the midst of immense heaven promises uplifting emotions that you certainly can not find elsewhere. 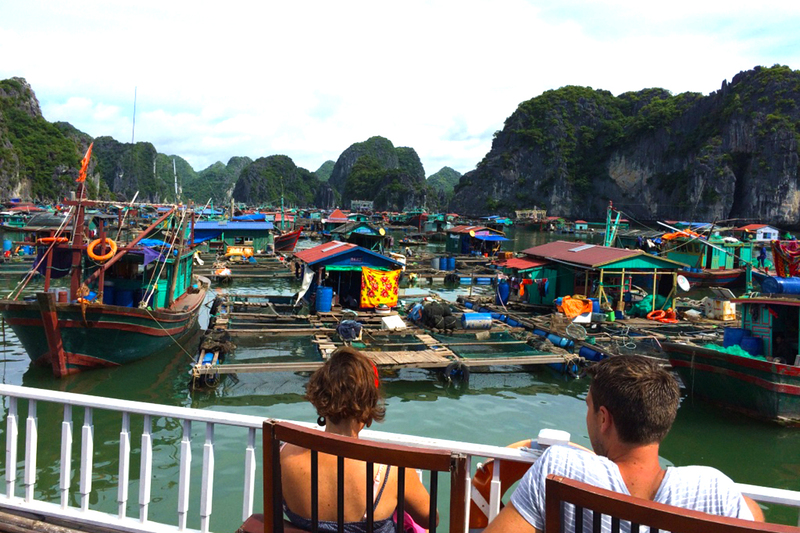 HaLong is not only the mysterious wild nature but the people here are also very rustic heart. They live in each of the fishing villages scattered in the bay area such as Vung Vieng fishing village, Cua Van fishing village, Ba Hang fishing village … Their daily life creates a very peaceful space, which is a unique cultural identity. 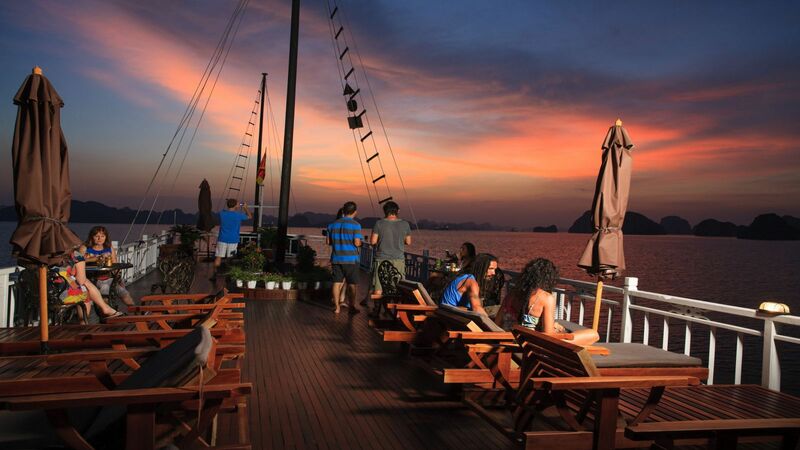 Spending the entire evening in the fishing villages, tourists will be impressed by a rustic rustic boat, immersed in peaceful, peaceful space, with a spectacular view of the majestic nature, learn the cultural life of fishermen, … Experiencing squid fishing with fishermen , then enjoy the result is can-not-be-missed checklist in your Halong bay plan. Not only attractive by the charming beauty of water, romantic sea, Halong Bay with diverse terrain and rugged is also a challenge who love climbing. Even professional kayakers have confirmed that Ha Long Bay is the paradise of the exciting sea climbing. 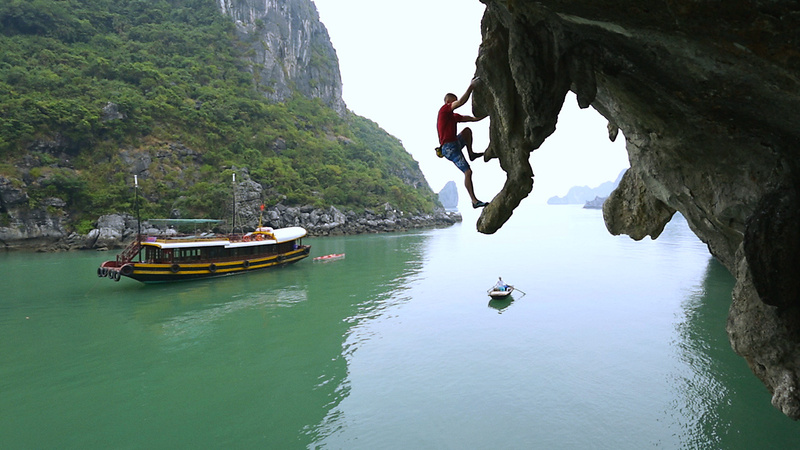 HaLong owns thousands of small islands as well as hundreds of climbing from easy to hard. After kayaking to the cliffs, visitors will conquer the cliffs upright and then jump down. This sport is quite safe with climber with the well swimming skill and observing the dropping point. Often, travelers are advised to climb only about 30 m high for training or recreation, or want to climb more or in dangerous areas must use the belt to ensure safety. 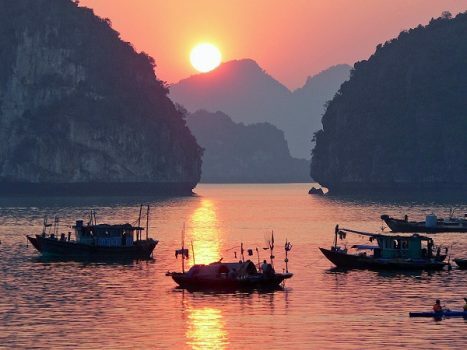 If you are a follower of this adventurous sport, perhaps the thorny cliffs, the spectacular views of the mountains, the cliffs, the caves at Ha Long Bay will give you a sense of desire to be conquered. 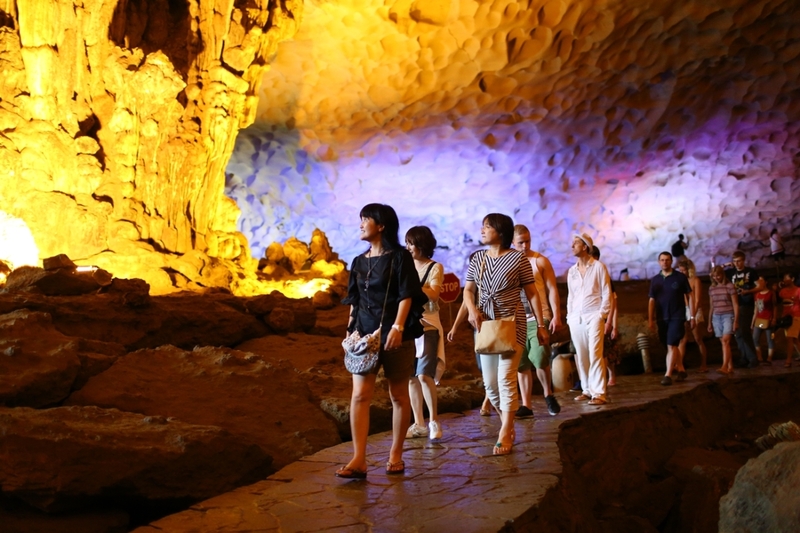 If you travel to HaLong, you’re surely fascinated by the magnificent beauty of HaLong Bay by varity of shimmering caves with colorful colors such as Thien Cung cave, Sung Sot cave or Trinh Nu cave, … Each cave in HaLong Bay has an own unique name that awake travelers’s curiousness to discover the mysterious beauties at every sight as well as attraction of these caves, and see the spectacular and diverse natural landscapes of a new world natural wonder. Note “Travel Bucket List In Halong Bay” in your handlist when you plan for your trip to the gift of nature- Halong Bay to make sure you do not miss any amazing experiences. These experiences will fullfill your trip with memoriable moments that you can find elsewhere.